Residential Locksmith Chatsworth – 818-824-8700. We have been servicing homes in the Chatsworth, CA area for over 10 years now! We thrive in providing the highest quality customer service and work. We highly experienced in residential locksmith services. 818-824-8700. Why choose Residential Locksmith Chatsworth? 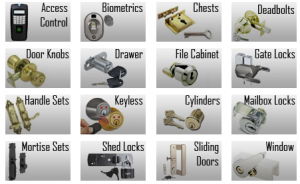 We have been in the Residential Locksmith business a very long time. Our honest customer service and quality work keeps are customers coming back. We are licensed, bonded and insured. Residential Locksmith Chatsworth offers low competitive prices for every budget! Install new lock sets and hardware. Repair lock sets and hardware. Garage doors and gate services. Plus anything else that is lock and key related. Call us at 818-824-8700. We are here to help. We know that getting locked out or even just trying to find a locksmith can be exhausting and frustrating. If you have landed on our page you have found the right Residential Locksmith Chatsworth has to offer! Call us and we will send someone your way about as fast as we picked the phone up 818-824-8700.